This April people around the country will be using their artistic bodies to bring awareness to W~A~T~E~R—-water safety, water magic, water conservation, water celebration. 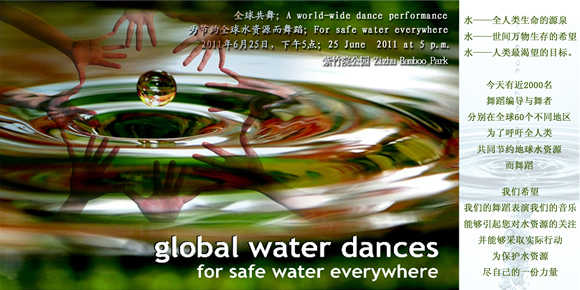 The Global Water Dances movement holds events every 2 years. Their next event is June 20th, 2015. Global Water Dances 2013 – Dancing for Safe Water Everywhere (Short) from Global Water Dances on Vimeo. Cheers to a greater attention to water everywhere!